Search Hub homepage is the PUP that uses misleading techniques to prevent removal. Use Reimage to locate malicious components and get rid of them faster than with uninstall instructions. A full system scan blocks virus reappearance and prevents traffic to malicious domains. How does this virus hijack computers? How can I remove Search Hub from my computer? If you are new to the cyber security community, you probably have not heard about browser hijacker programs like Search Hub virus. These type of viruses usually infiltrate the computers without the user’s knowledge or consent. This virus is designed to overtake the browser’s settings, alter them and assign www.searchhub.info as the browser’s primary website. Therefore, it is not difficult to notice when the Search Hub hijack occurs on the computer. Your homepage and default search engine will simply be replaced with the suspicious website. What is more, the virus additionally installs Privoxy and alters the settings to run all the traffic through this particular web proxy service. After doing that, the hijacker is able to track your visited sites and inject ads into the browsing results. The users report that the search results offered by this questionable search engine are virtually useless and mainly features sponsored links to affiliate websites. It is not uncommon to hear that Search Hub redirect the users to very questionable sites after interacting with these links. This often results in further contamination of the users computers with other malware, viruses, and worms. The virus’s presence on the PC significantly diminishes the system’s immunity; therefore, the Search Hub removal from the system is essential in order to avoid these potential infections. When infected with Search Hub you may also experience an influx of pop-up, pop-under, in-text ads, banners, etc. These ads may promote infectious pornographic sites, try to push unnecessary and potentially dangerous software, suggest fake software updates or get you involved in some remote tech support scam. 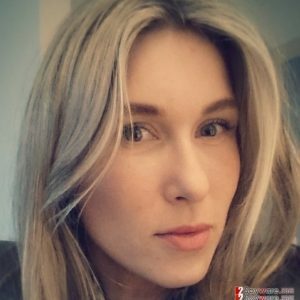 It is known for sure that ads by Search Hub promote easygirls.com and windowserrornote.info sites which are not reliable and should not be interacted with. In general, you should scan your system immediately after you start noticing first signs of suspicious processes on your PC. Make sure you choose a respectable antivirus software like Reimage for this purpose. Even if you do not have an antivirus installed on your PC, you can remove Search Hub manually. Skip to the end of this article to find the step-by-step instructions on how you can do that. Search Hub is usually spread through software packages and can get installed on your PC along with other free programs. Usually, such software packages do not fully disclose that additional contents would be installed simultaneously. That is why it is always recommended to read the License Agreements and closely follow the installation process when installing apps downloaded from the Internet. If it is possible, always opt for the “Custom” or “Advanced” installation modes, instead of “Quick” or “Recommended” ones to disclose all the optional installs contained in the software package. If you notice any suspicious software ready to be installed on your computer, unmark these options or terminate the installation completely. Also, make sure you choose a reliable more reliable sources for downloading software in the future. There are two basic strategies to remove Search Hub from your computer. As mentioned in this article, you can remove the virus manually or automatically. Both of these methods have their benefits and drawbacks. However, it is always more chance you remove the virus successfully with the automatized antivirus utilities. The only thing you need to do is keep your anti-malware software’s virus database updated. This will ensure that all the newest versions of viruses are detected and eliminated. The manual Search Hub removal is recommended for the users who have experience in dealing with virus elimination, as it might be quite challenging to track down all of the virus components, scattered around the computer’s system. If you are up for such challenge, you can follow manual Search Hub removal instructions provided below. 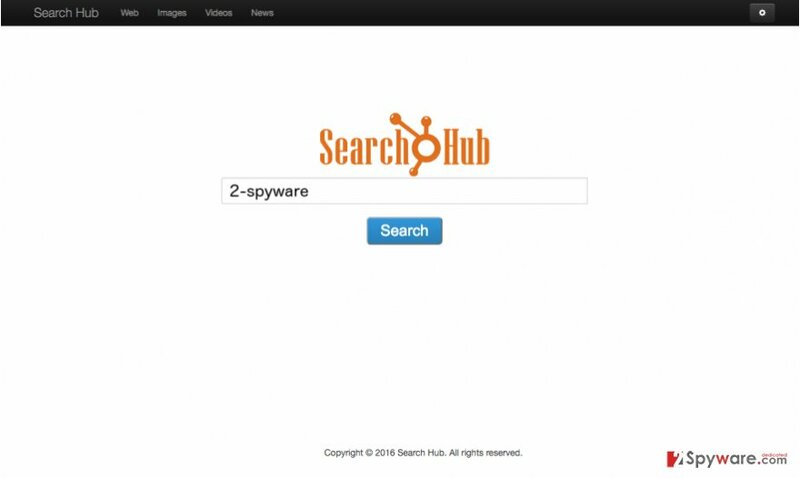 Here, look for Search Hub homepage or any other recently installed suspicious programs. Wait until you see Applications folder and look for Search Hub homepage or any other suspicious programs on it. Now right click on every of such entries and select Move to Trash. When in the new window, check Delete personal settings and select Reset again to complete Search Hub homepage removal. Once these steps are finished, Search Hub homepage should be removed from your Microsoft Edge browser. Here, select Search Hub homepage and other questionable plugins. Click Remove to delete these entries. Now you will see Reset Firefox to its default state message with Reset Firefox button. Click this button for several times and complete Search Hub homepage removal. Here, select Search Hub homepage and other malicious plugins and select trash icon to delete these entries. Click Reset to confirm this action and complete Search Hub homepage removal. Here, select Extensions and look for Search Hub homepage or other suspicious entries. Click on the Uninstall button to get rid each of them. Here, look at the Homepage field. If it was altered by Search Hub homepage, remove unwanted link and enter the one that you want to use for your searches. Remember to include the "http://" before typing in the address of the page. Now you will see a detailed dialog window filled with reset options. All of those options are usually checked, but you can specify which of them you want to reset. Click the Reset button to complete Search Hub homepage removal process. This entry was posted on 2016-04-15 at 01:39 and is filed under Stealing programs, Viruses. You can quickly scan the QR code with your mobile device and have Search Hub homepage manual removal instructions right in your pocket. How did you remove Search Hub homepage?